Is the Bay Area ready for the big one? 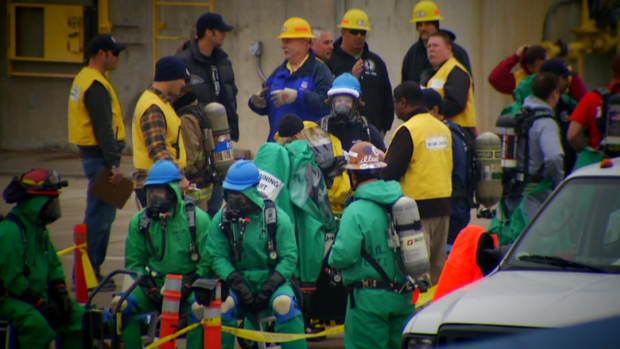 How Prepared is the Bay Area for Chemical Disasters? 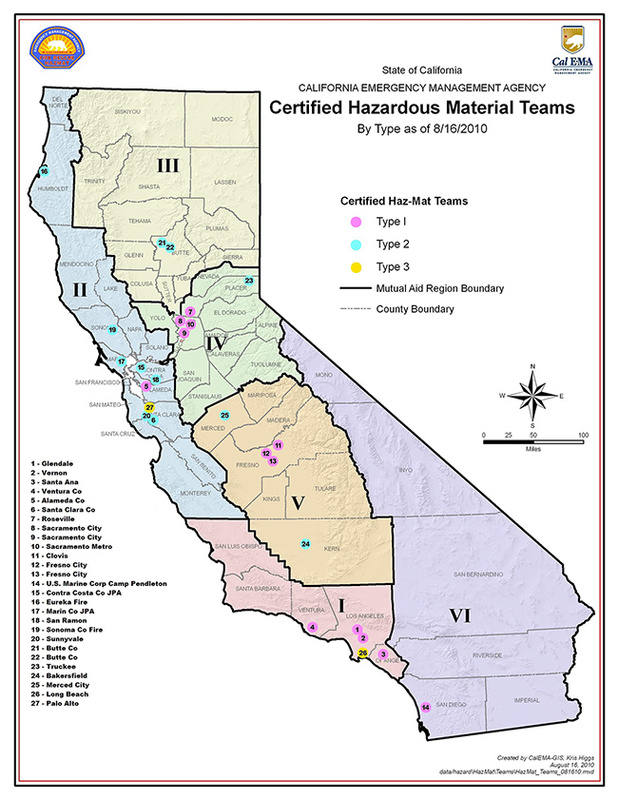 Hazardous materials leak into Bay Area soil, water, and air daily. 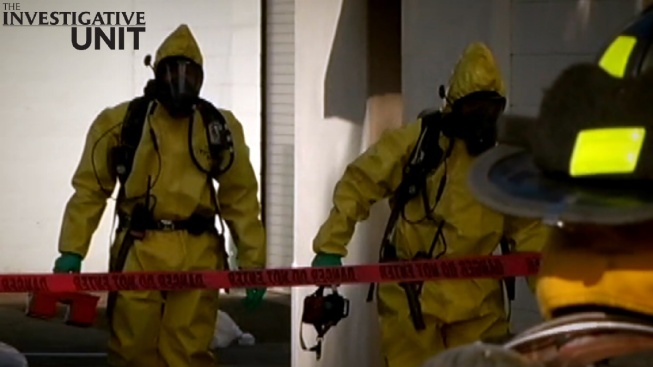 The NBC Bay Area Investigative Unit Analyzed data for every hazmat incident reported to the state in 2014. Last year, California recorded 7,033 incidents. That’s an average of 19 chemical spills a day, ranging from petroleum spills to toxic gas leaks. In the nine Bay Area counties, emergency crews responded to 1,376 calls last year. Alameda County topped the list with 299 hazardous spills in 2014, followed by Contra Costa County with 226 and Santa Clara County with 193. “Those are just the ones that we know about, because I’m sure there’s many out there that people understand there’s a threshold to report, or not reporting because they’re trying to stay under the radar screen,” Fire Chief Kim Zagaris said. He leads the California Office of Emergency Services, which is responsible for overseeing the state’s Local Emergency Planning Committees, known as LEPCs. They are federally mandated committees tasked with creating an emergency response plan, reviewing it yearly, and informing residents about the chemicals in their community. California is divided up into six different LEPC regions. The Bay Area is in Region II, which runs from Del Norte County down to Monterey County. Chief Zagaris admitted the state faces challenges meeting the LEPC mandates, mainly manpower and money. For example, the Region II LEPC Chairman also works full time as a CHP investigator. “It’s a federal mandate that’s out there and there’s no funding that goes with it,” Zagaris said. First responders statewide take part in training sessions several times a year. At a recent training session, first responders re-enacted a train derailment at the Roseville Fire Training Center. Emergency workers simulated how they would respond when a derailed train dumped highly flammable propane into the community. “It gets them prepared so they can respond in a timely and efficient manner,” said Jim Tate, the CAL OES Hazmat Emergency Services Coordinator. Santa Clara County received a $350,000 Homeland Security grant in 2014. Part of that money allowed the county to purchase new high-tech equipment, including a $30,000 software program that allows firefighters to pinpoint the direction of a chemical plume. It’s a hazmat situation they train for in tech-rich Silicon Valley. “We could actually plume a projected model of when that gas or chemical is going to dissipate, how long it’s going to stay, and how we can protect the people downwind,” said Fire Captain Douglas Young, the Hazmat Coordinator for Santa Clara County. Young said while smaller counties may not have as much money to work with, they benefit from mutual aid training, which means first responders in rural areas practice with bigger departments. But geography remains the biggest challenge. If a tanker or rail car overturns in a remote area, no amount of training or technology can shorten the time it takes first responders to get there. Still, Young said continual training keeps first responders ready, and multiple drills during the year help them coordinate their emergency responses. “If we need to respond anywhere in the state, county, or Bay Area we can do so,” Young said. View an interactive on a separate page.